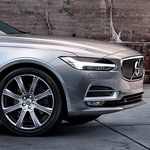 If you’re not familiar with all the benefits of owning and driving a Volvo V90, the team at Lyle Pearson Volvo Cars Boise believes that it’s time for that to change. The Volvo V90 is a popular luxury wagon that has a lot to offer any driver, and we’d love to tell you more about all the different performance amenities that you’re sure to enjoy. The V90 is available in three different styles that incorporate an array of standard and optional features. All three V90 variations are equipped with an automatic eight-speed transmission that’s designed for smooth shifting between gears in a wide range of road and weather conditions. The V90’s power is created by one of two turbocharged four-cylinder engine models that are capable of delivering over 315 horsepower. Estimated gas mileage is almost 35 miles per gallon on the open road and almost 25 miles per gallon in urban driving conditions.